the peak times and run at 10 minute intervals during off peak. 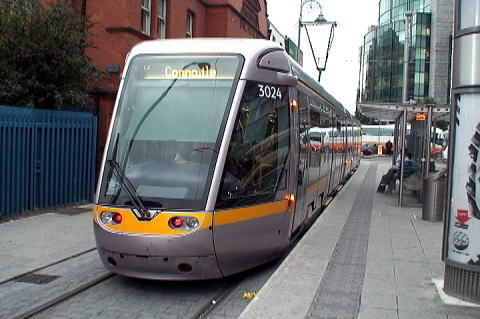 The Smart Card allows passengers on the Luas to pay as they go. This new system is simple to use. being deducted from their Smart Card. 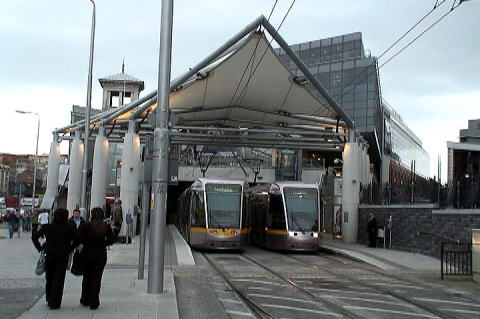 (L)The Luas tram cars at the platform of Connolly terminal station. 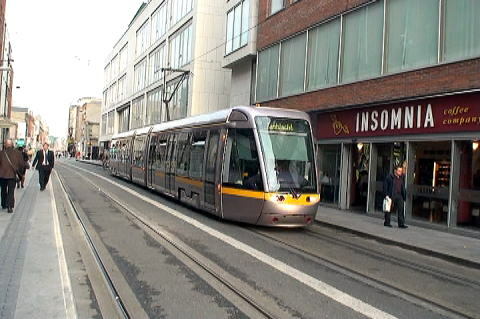 (R)A Luas tram car runs on a street with somewhat comfortable tinkling sounds, in front of the store of 'Insomnia'. 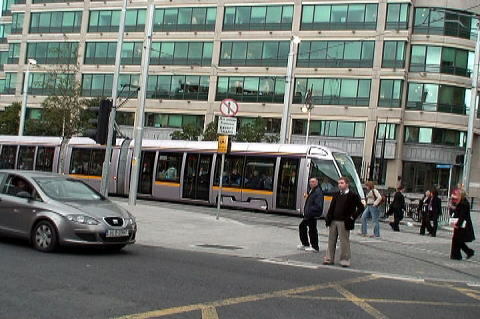 (L)The tram car runs through a commercial district of Dublin nimbly. (R) The place a passenger gets off is the entrance to the building. 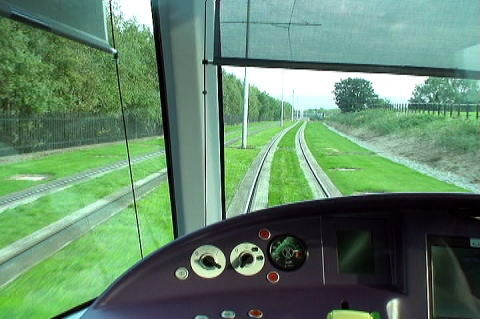 A Luas tram runs on the track with a rich grassy lawn.